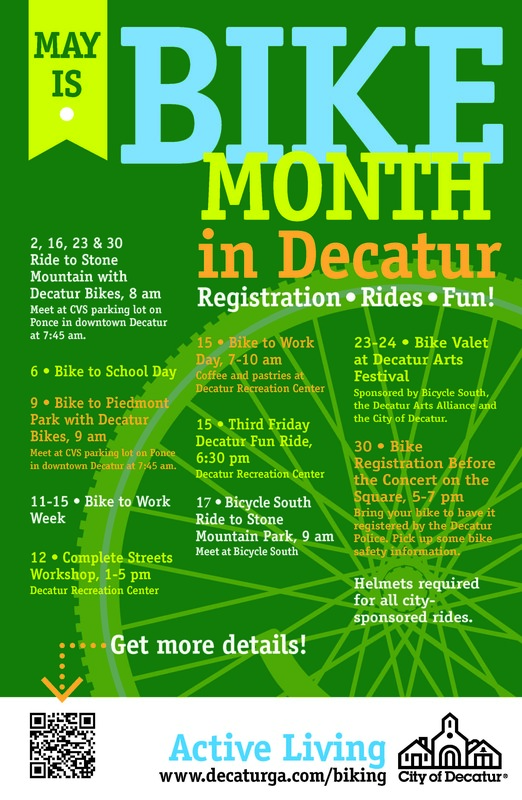 May is National Bike Month and the City of Decatur has lots of rides and other things bike related. Plan to join us for a ride or two or three! For detailed information, visit http://www.decaturga.com/biking and check back here for updates.